There’s some stiff competition in the sporty convertible segment these days. With cars like the BMW 4 Series Convertible and brand-new Audi A5 Cabriolet, buyers have some damn good cars to choose from. If you want some sporty driving with your drop-top luxury car, these two cars are probably your best bet. Both look great, both handle well, both have a ton of technology and they will both offer comfortable luxury. So which car is better? In this new comparison review from Whatcar?, we take a look at both the 4 Series ‘Vert and the A5 Cab to see which is the better drop top. Despite being four-cylinder convertibles, these two cars are very different. So they each go about their business in different ways. Under the hood, though, they’re pretty similar. 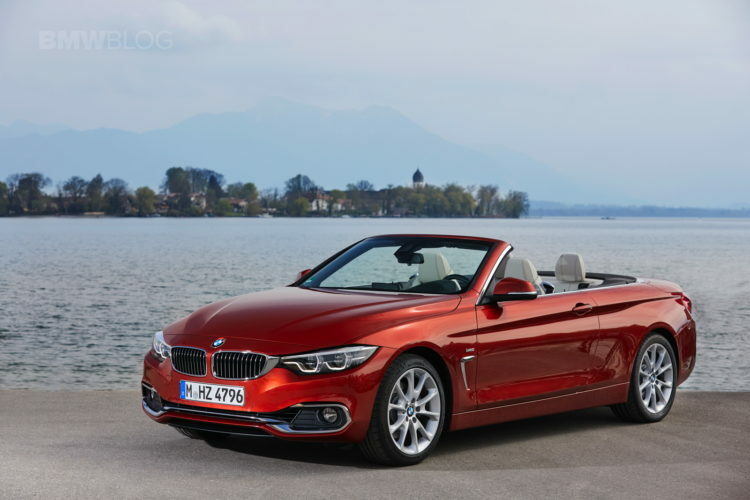 The BMW 4 Series Convertible makes 248 hp from its turbocharged 2.0 liter four-pot. 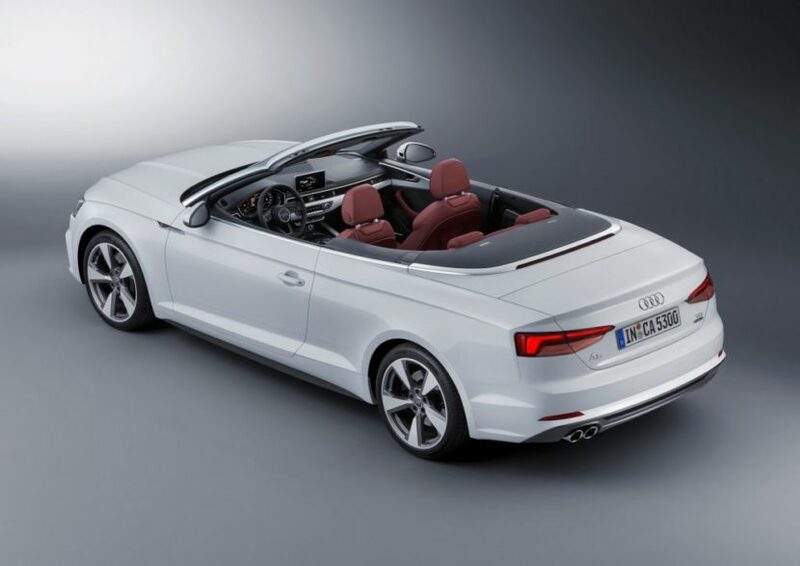 The Audi A5 Cabriolet makes 252 hp from its own 2.0 liter turbo-four. So they’re within striking distance of each other, in terms of power. However, that’s about where the similarities end. In the Bimmer, power is sent through an eight-speed automatic to just the rear wheels (xDrive all-wheel drive is an option). Meanwhile, the Audi uses a seven-speed dual-clutch gearbox that puts power to all four wheels. The Bimmer’s ZF8 gearbox is smooth, fast and intelligent while the Audi’s S-Tronic DCT is sharp, rapid-fire but can be a bit jerky at low speed. Both have their pros. In terms of performance, though, the Audi A5 is the faster car. Thanks to its all-wheel drive grip, it can launch off the line harder than the 4 Series. It’s also considerably lighter, as its uses a traditional soft-top while the 4 Series uses a heavy, folding metal hardtop. This makes a big difference in handling, too, where the Audi A5 turns in sharper and feels naturally lighter on its feet. Even though the BMW has better steering feel, its front end isn’t as sharp as the Audi’s and its reflexes aren’t as quick. Blame the extra heft of the hardtop for that. Inside, the Audi A5 is better, too. Not only is its cabin more modern and more stylish, it’s also built better. Audi really crushed it with its new interior design language, as it looks fresh yet familiar, stylish yet simple and all of the materials are top notch. 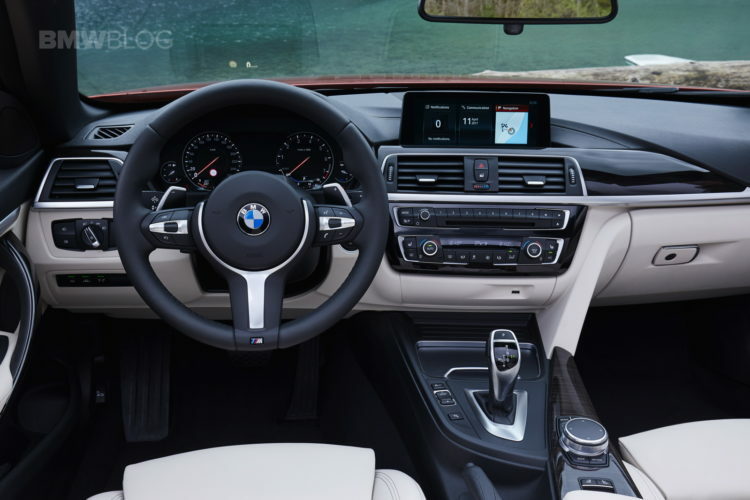 The 4 Series’ cabin looks good and is very functional but it’s getting a bit boring and some of the materials feel a bit low-rent for its price point. In terms of technology, it’s a bit of a wash. BMW’s iDrive is a bit better than Audi’s MMI system but Audi offers the ever-so-brilliant Virtual Cockpit that is delightful to use. To be honest, it doesn’t matter which of these convertibles you buy because they’re both going to offer exactly what their customers want — a stylish and fun convertible driving experience with great luxury and technology. 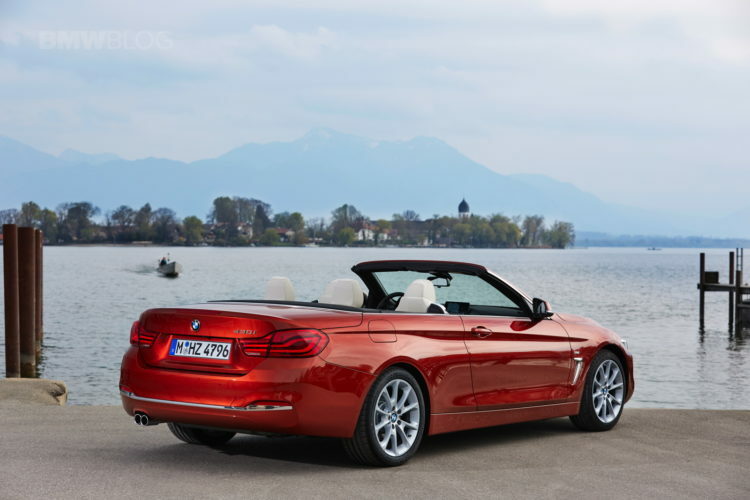 But, to be honest, it seems as if the Audi A5 Cabriolet has the edge over the BMW 4 Series Convertible.